I’ve seen a lot in my life. A lot of people suffering, fearful, temporarily joyous angry, hurt, resentful, longing, hopeful, and ecstatic too. I’ve felt all of the above, and I would venture to say that you or someone you know has as well. This article is dedicated to those who want relief and peace of mind permanently. I wanted to pass on to you the freedom I have felt from learning to free myself from desirous attachment. Here are a few examples. A man longs for a woman, and she has no interest. A woman wants to climb to the top of her career. A person REALLY wants a certain home, car, promotion, status, position, or thing. What is going on here? It’s called “desirous attachment” and when you are “attached” to ANY outcome in life, as a source of happiness or validation, then you are caught in the trap. What happens when you get it and then lose it? You’re miserable! What happens if you don’t get it? You’re miserable. What happens when you’re waiting for it? You’re anxious, stressed, driven, sometimes obsessed with whatever “it” is. Some people will go after whatever it is that they’re attached to at all cost, no matter what they have to do, or who they have to hurt, or how “competitive” they have to be. Think of every actor in Hollywood that wants to be a “star”. They are filled with desirous attachment. Think of the people who lost all of their money and then took their lives. They too were filled with desirous attachment. The only cure for desirous attachment is the realization that whenever you get what you want, then it’s usually something else that you will want after that. Right? So it’s a never ending cycle. Once you realize that the cause of most personal suffering is the desirous attachment to an outcome of one form or another, and you can realize that if you let go of the desirous attachment, and allowed yourself to be at peace with who you are, from the inside out – rather than the outside in – a LOT of internal pain will be alleviated. Another example that I learned is suppose you DO get what you want – such as a certain person in your life – you’re on cloud nine – UNTIL you have a fight – and THEN there’s misery – as long as there’s desirous attachment. Or you could be so attached to an object – such as a house, until the roof needs to be replaced – then you’re not so happy anymore. The only way to free yourself from the emotional and mental suffering is to release all desirous attachment, and then you can go about your business, take care of what you wish to, be with whomever you enjoy being with, and know that you’re entire life and reality does not EVER hinge on any one person, place or thing. This is the cure. I learned to put ALL of humanity on an even keel, and regard ALL sentient beings as equal. This releases the desirous attachment that places certain people on pedestals, where we elevate their importance as more than other sentient beings. ALL of humanity is equally important, not just “my” family, or “your” family – but EVERY person alive. Think about all of the things that are on your mind. There’s something that you’re attached to – that you either want, or are afraid of losing. I’ve been there, and have received much, lost much, and now am neutral as far as longing or fear. I live with more trust, as opposed to desirous attachment, and the relief is astounding. Living with a purpose to be of help and service to others brings me far greater joy than anything I have ever owned, acquired or received. This is true freedom. It’s freedom from anxiety, fear, highs and lows, as well as pain and suffering. It is not what is outside of you that will being you joy – it is your BEING free of desirous attachment that will enable you to live with far more inner peace, calm, serenity, and the joy you deserve. Shed a light on the illusion that a certain person, position or thing will “make you happy” and then you will come to see that true inner peace comes when the mind is free of all desirous attachment. Think about it, and then, enjoy your JOY! 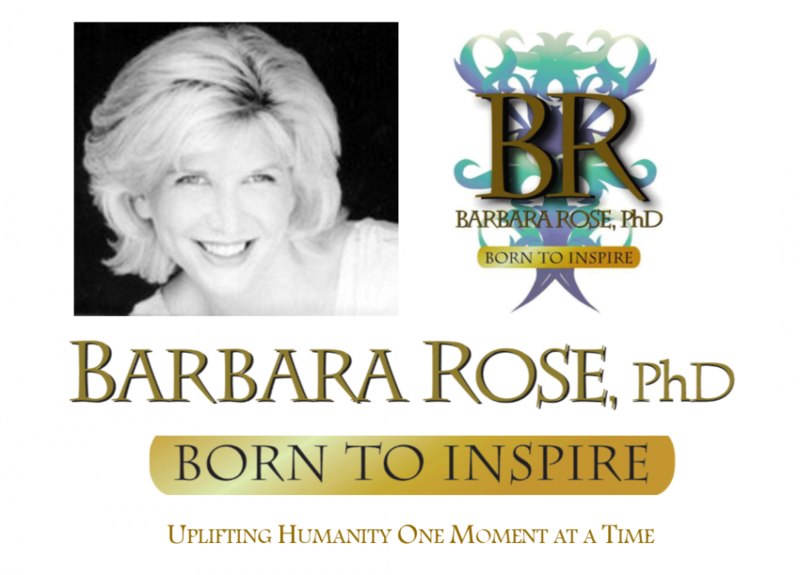 © Copyright 2012 by Barbara Rose, PhD. All Rights Reserved. 1. How can I say goodbye when I don’t want to? 2. What if I love someone, and we are no longer together but he/she is moving away? 3. Can you please explain why some people keep returning to each other after repeated break-ups? 4. How do I stop thinking about the past and hoping for the future? 5. What do I do with all of the love I still feel for that person? When a circumstance happens that your personality might not like, it is imperative that you stop fighting what the universe is showing you, and start to look for the blessing in disguise, as well as the higher reason behind it. When you truly learn to go with the flow, in the moment, you will gain a great deal of trust. What you will ultimately trust is that it is happening for your highest good and for the highest good of the other person. You might not see the higher reason at the current time, but you definitely will in hindsight. Excerpt © Copyright 2013 by Barbara Sherry Rose, PhD All rights reserved.